Michelle graduated with a Diploma in Osteopathic Manual Therapy, (D.O.M.P.) from the Canadian School of Osteopathy in Vancouver BC. Her interest in treating the “helpers” of the community led her to complete a thesis on how osteopathic manual therapy can promote a positive perspective amongst family caregivers of a loved one with a long-term illness. Her intention as an osteopathic practitioner is to promote health, and genuine self expression while addressing specific pain and injuries in those she has the privilege to treat. While treating the body as a functional whole, the following techniques are often utilized; myofascial release, cranial osteopathy, visceral manipulation, scar tissue mobilization, muscle energy techniques, functional, indirect and direct structural mobilization, and soft tissue release. Michelle is currently gaining skills in the biodynamic osteopathic approach through mentorship and hands on study with Melisa Dzamastagic. Michelle is a full member with Osteopathy BC which adheres to the highest standard of osteopathic manual therapy training in Canada and internationally. Since a very young age, Michelle has had a burning desire to both explore and connect the various puzzle pieces that lead to a fulfilling and vibrant life. She is passionate in sharing this exploration of life through her therapeutic hands in dialog with the body and the being. YOU! She enjoys treating all ages, and trusts the adaptive nature of the osteopathic approach to aid pregnant women, infants, and especially those who are energetically sensitive in this busy modern world. 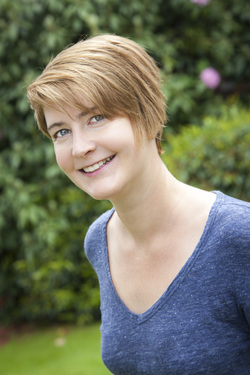 Michelle's other significant life experience which includes, managing an organic vegetable farm, a fine arts degree from Concordia University, and an immersive study of Vedic (ancient Indian) philosophy and spiritual practice, strengthen the holistic osteopathic treatments she provides her clients. Her openness to discuss and treat any dysfunction in the body, put people at ease and allow those navigating complex life situations to breath deeply and begin a healing process. Following a review of your health history an assessment will take place to guide the treatment. Osteopathic treatment will promote the health in your entire body as well as address the primary health concern on the day of your visit. Typically a follow up visit in 1-2 weeks will be recommended to continue our work, but often only a series of two or three 60 min. visits is needed to get your system back up and running! In osteopathy we like to find it, fix it, and leave it alone to enable your body's innate healing rhythms to function as they naturally do. This extends your treatment results beyond the clinic table. The body may go through a 48 hr period of adjustment after your treatment during which symptoms may oscillate through the body before the full benefits of the treatment are apparent. In this case it is suggested to increase your water consumption, allow the body to take rest and modify physical activities as needed to aid the healing process.